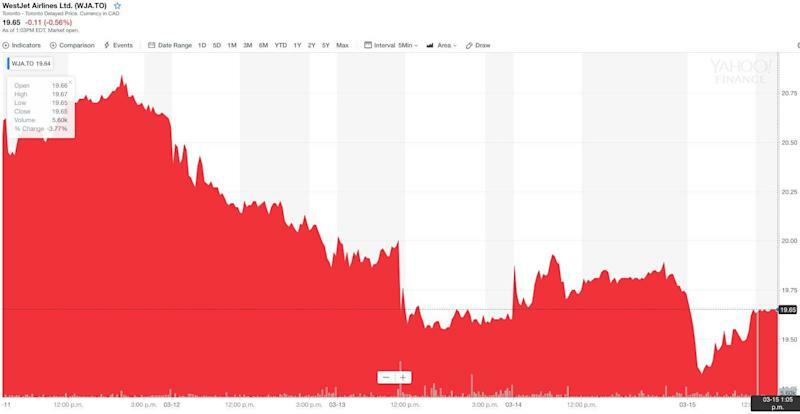 While Boeing Co.’s stock took a hit in light of the worldwide grounding of its 737 Max 8 and 9 aircraft, Canadian airlines have not seen their stocks dramatically dragged down this week. Transport Canada issued a safety notice on Wednesday restricting commercial use of the aircraft, citing new information from satellite tracking data that suggested “a possible, although unproven” similarity to the deadly Lion Air crash involving the same aircraft in October. 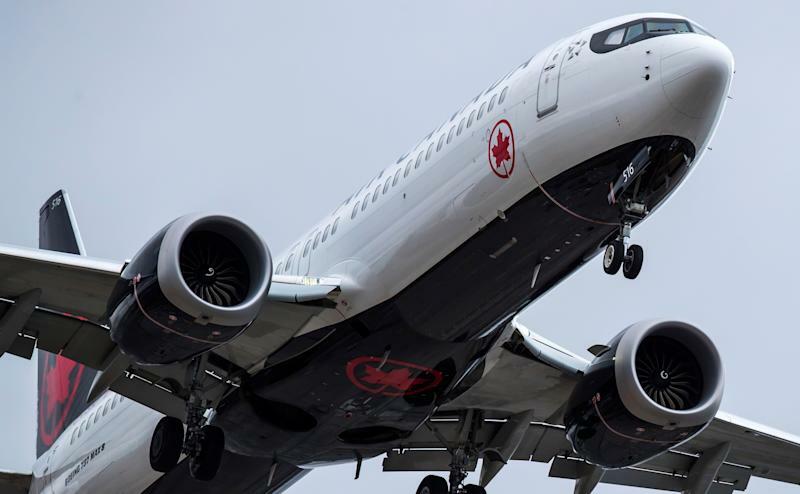 The safety issue means major disruptions to operations at both Air Canada and WestJet Airlines Ltd., which were forced to ground 24 and 13 Boeing 737 Max 8s, respectively. According to one analyst, the decision will cost both airlines $3.7 million a day in revenues. Air Canada announced on Friday that it would suspend its financial guidance for the first quarter and full year of 2019 due to uncertainty caused by the suspension of Max 8 flights and Boeing’s recent decision to pause deliveries to airline customers. Still, RBC Capital Markets analyst Walter Spracklin wrote in a note to clients Friday that the disruption to Air Canada’s operations will not impact his longer-term view on the company’s shares. “Overall, we view the interruptions from the 737 MAX grounding as a temporary, one-off issue,” Spracklin wrote. As of 12:50 p.m. 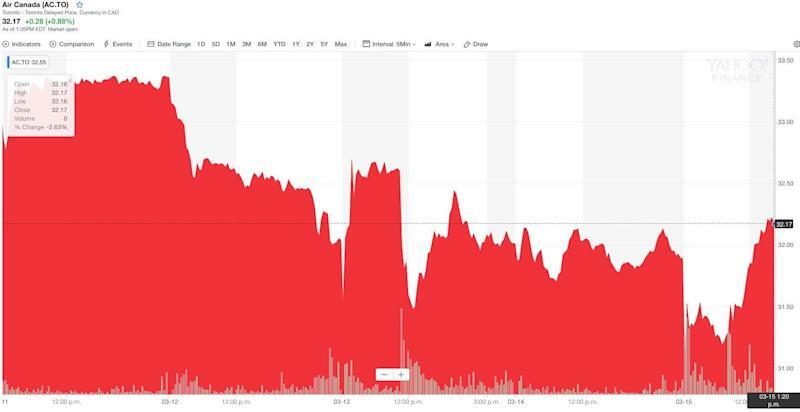 ET Friday, Air Canada’s stock was down 1.2 per cent this week from Monday, the day after the Ethiopian Airline crash involving the Max 8 which killed 157, including 18 Canadians. WestJet’s stock has fallen 3.6 per cent since Monday. Air Canada was forced to cancel 52 flights as of Thursday afternoon because of the decision to ground the Max 8s. The airline said its fleet of Max 8s carries between 10,000 and 12,000 passengers per day. WestJet also cancelled 18 flights as of Thursday, affecting approximately 1,800 guests.